I caught up with an angel investor recently, discussing the ideas they see again and again in investment circles. Lots of apps, new automation ideas and luxury brand start-ups. And that struck me. Can you really start-up a luxury brand – out of the box – and credibly compete with brands, decades old, and really call yourself luxury? There are brands who’ve achieved it. Lexus, Tesla, Prada, Yamamoto, to name but a few, have proven that steep launch curves can carve luxury market share quickly. However, many fast success stories tap into A. Epic PR budgets or B. Infectious media hype as early adopters hunt for innovations. 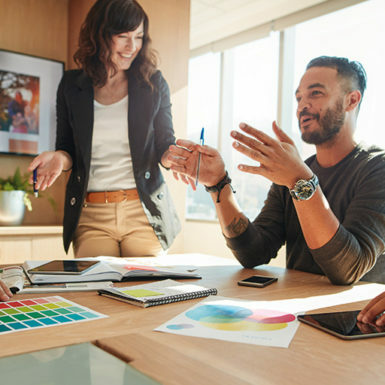 Most luxury brands launch into very competitive spaces without eight figure media budgets and even ground-breaking innovations. They target a very savvy audience and allude to their luxury positioning without ever saying it. True luxury brands imply luxury through their behaviour. What are these behaviours? What can we observe from luxury category leaders? Luxury brands don’t follow the rules you’ll see in FMCG. Luxury brands are more confident and independent. However, there are common themes that many luxury brands share in building their market share. 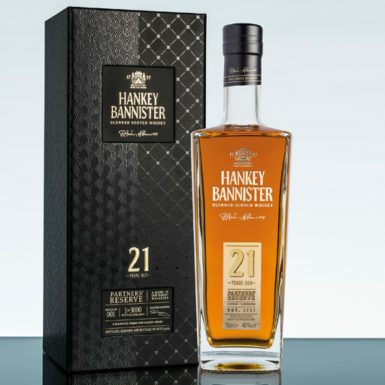 Here we look at “Seven consistencies in Luxury Branding.” Shared practices brands use to connect with luxury consumers. Mass-produced brands are opaque about provenance, luxury brands are the opposite. The craft narrative is a key brand pillar, underpinning premium pricing and authenticity. Luxury products build brands through their rare ingredients, distilling processes, design engineering and world class expertise. 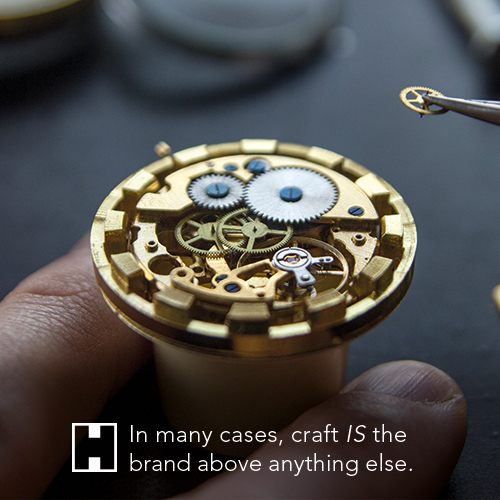 For many, craft IS the brand above anything else. This is always a fine balance. Luxury brand owners will always need scale to build value in the company, whilst limiting the availability to protect integrity. However, scarcity is a tactic which, well managed, can create extraordinary demand. The “harder it is to own” the “more I want to own one.” Take any hyper car like the Aston One-77 or McLaren P1. Machines which retail north of £1M and yet sell out in hours on a limited production run. And then double in value the next day as those who missed out are willing to spend even more. FMCG brands invest heavily in the singular logo, so it’s easily portable across brand extensions and media channels. True luxury brands adopt a repertoire of imagery, design and identities to build the story. Think Tom Ford. Way beyond spectacles, we now have cosmetics, fashion and two iconic Hollywood movies, all telling their own chapter in Ford’s luxury brand empire. Luxury brands thrive on timelessness; the ability to embrace the here and now, whilst protecting the core brand DNA. Chanel and Hermès are masters of this strategy. Design, branding and packaging that’s remained consistent for decades and more, inhabiting digital media with more confidence and engagement than much of the contemporary fashion market. Luxury brands are expert in channelling the appeal of leaders, be they actors, icons or sport stars and building their DNA into their products. More than brand associations, these relationships become a global expression of shared brand values. Tag Heuer’s Monaco watch collection tapped into the uber-cool appeal of (long deceased) Steven McQueen. Whilst Macallan Whisky delivered exclusive editions in association with iconic creatives Sir Peter Blake and Annie Leibovitz. 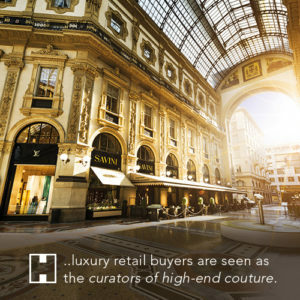 Luxury retailers carry substantial influence on luxury consumers. Like the greatest art collectors, luxury dept store and travel retail buyers are seen as the curators of high-end couture. No matter how much a brand professes its luxury, it needs the company of established luxury to substantiate its claims. The right shop floor is still the ultimate advertising channel. As critical as craft, the design aesthetic is the native language of luxury brands. Luxury brands use design with confidence, modesty and elegance. From the product itself, to primary and secondary packaging and all touchpoints of the communications journey, the design aesthetic in many instances IS the luxury brand. Deconstruct any luxury brand story and you’ll find these consistencies. Some define the brand, some play a minor role. Yet there’s one critical X-Factor that can’t be dismissed; the raw creative vision of the people behind successful luxury brand stories. In an age of metrics and relentless evaluation, it’s a wonder that luxury brand categories grow with ever-increasing originality and innovation. Yet grow they do. Driven by eccentric, brave and truly original thinking. Luxury brands don’t grow out of plans and templates, but brilliant hearts and minds. Posted in News and tagged with #LuxuryBranding #LuxuryBrands #LuxuryGifting #luxurylife #luxurypackaging #LuxuryRetail #LuxurySpirits #LuxuryWatches #TravelRetail .